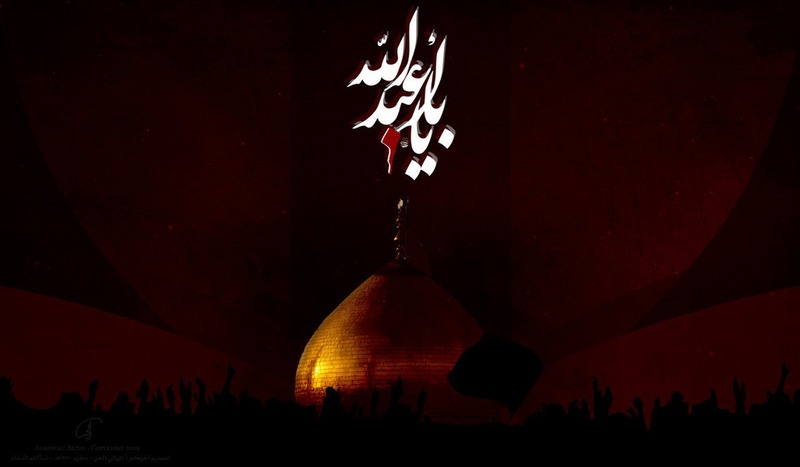 There are several questions related to Karbala or the movement of Imam Al-Hussein (a.s.), as well as other questions concerning the method adopted by the “weepers” and the “bereaved” for studying Ashura tragedy, which was far from the scientific methodology in reading history, mainly when it comes to the contradicting historic texts and traditions that some might take a certain approach and others take a wholly different one. Did Imam Al-Hussein (a.s.) rise to be murdered? Perhaps this historic narrative chaos opens the doors ajar for those who create traditions that have nothing to do with the true nature of the memory or the line of the Members of the House (a.s.). 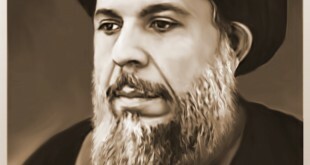 Thus, we notice that some of them create, during Ashura, backward traditions, or what our master Sayyed Al-Khoui’ (may he rest in peace) calls “violating the sacredness of the sect”, since these acts offend the manifest image of the sect of the Members of the House (a.s.), which is the authentic Islamic line. Therefore, many questions must be raised: Was the movement of Imam Al-Hussein (a.s.) based on martyrdom? Did he rise just to be murdered? Was his movement dedicated for reaching a phase in which he would be martyred along with his children, companions, and members of his household? 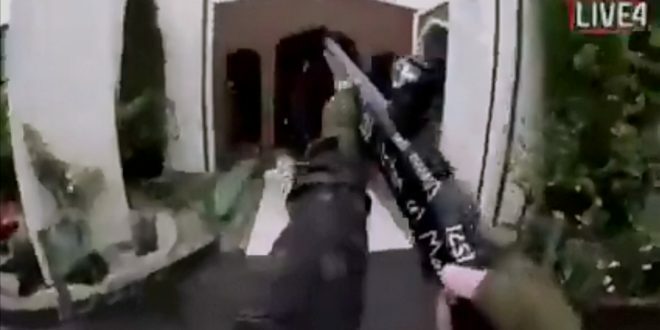 Was martyrdom his only objective throughout his movement? How could we study these narrations in a scientific manner, in comparison to the character of Imam Al-Hussein (a.s.) as an Imam who shouldered the responsibility of the Imamate and its role in turning reality back to the line that the Messenger of Allah (p.) had brought. The Imamate represents the active Islam that the Imams ought to carry as a message to be delivered to the people, and by which they ought to act in order to turn the corrupt reality into a rightful one. Therefore, if the Imam rose just for the sake of gaining martyrdom, then why did he leave Mecca knowing that the Umayyads had set plans to kill him even if he were clinging to the Ka’ba curtains?! Is it because he did not want them to violate the holiness of the Ka’ba or is there another reason? The Imamate represents the active Islam that the Imams ought to carry as a message to be delivered to the people, and by which they ought to act in order to turn the corrupt reality into a rightful one. The responsible person, especially if he holds the responsibility of the Imamate or the Call for Allah, should not remain neutral before such a reality – the reality of the oppressive tyrant – but rather he ought to rebel against it in order to change the status quo. Moreover, the tradition of the Messenger of Allah (p.) is considered a lawful basis for revolting against an oppressive ruler, unlike what some jurists claim that we ought to obey our rulers even if they were oppressive and obey their commands and adhere to their teachings. As the Imam (a.s.) goes on with his sermon, he talks about the reality and puts the theory in the tradition of the Messenger of Allah into practice to, and defines his responsibility in all that: “Certainly these people have come to staunchly obey Satan, and given up obeying Allah, the Compassionate. 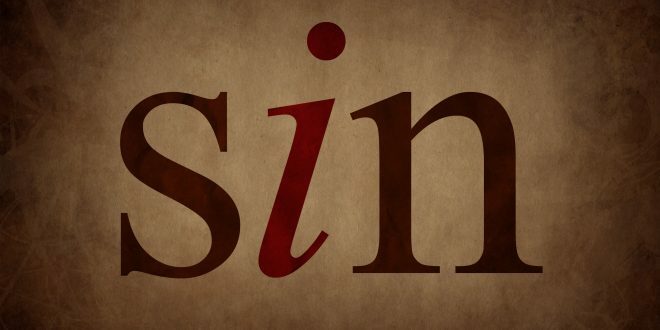 They made permissible what Allah has forbidden and forbade what Allah has legalized, and showed mischief and took Muslims’ property to themselves. And I am more entitled than anyone else to make the change.” In this speech, he was addressing the people and telling them that he is taking action in order to change the ruler and reform the corrupt reality that has surrendered to this ruler. Therefore, we can deduce from this speech that the movement of Imam Al-Hussein (a.s.) was reformative; i.e. he himself was reformative, and that he did not leave Mecca just to be martyred, knowing that he was ready for this fate had it been imposed on him, eventually, for the sake of making the aspired change. The movement of Imam Al-Hussein (a.s.) was reformative and he did not leave Mecca just to be martyred, knowing that he was ready for this fate had it been imposed on him, eventually, for the sake of making the aspired change. In this speech, the Imam (a.s.) is confirming that his movement seeks reform in the nation, since he shoulders the responsibility of the nation, for one of the Imamate’s requirements is to shoulder the nation’s tasks by setting straight any kind of deviation and reforming any kind of corruption in it. Moreover, this tradition also reveals that Imam Al-Hussein (a.s.) did not rise as a fighter, for he says: “And whosoever rejects me then I will bear patiently until Allah judges between me and them, and He is the best Judge,” but rather he rose peacefully just as his grandfather, the Messenger of Allah (p.) had risen before the immigration, opening up to the people in a wise manner, and by means of a pleasant admonition, a good word, and a lenient method, for Allah says: “Thus, it is due to mercy from Allah that you deal with them gently, and had you been rough, hard hearted, they would certainly have dispersed from around you.” (03:159). Actually, this is what drove the Imam (a.s.) to accept the letters sent to him from Al-Kufa, and it is believed that they have reached eighteen thousand letters in which people called on him to join them, and this is what made him send to the people of Al-Basra the letter in which he confirmed that he was more entitled than anyone else to make the change. Therefore, in his movement, Imam Al-Hussein (a.s.) did not aim at getting killed or martyred; thus, we ought to reconsider the narrations which mention that he rose just for the sake of becoming a martyr. On the contrary, the Imam (a.s.) rose seeking reform and change, and in comparison to our contemporary times, we would say that he sought a revolution, which leads to a radical change in a certain corrupt reality, changing it into a rightful one. Actually, this is a verse of a poem written by a poet from Karbala and it is based on spiritual underpinnings; however, it is circulated between people that it is one of Imam Al-Hussein (a.s.)’s sayings. Moreover, we might find in several biography books many traditions that portray Imam Al-Hussein (a.s.) as a weak person. It is true that Imam Al-Hussein (a.s.) passionately loved his children, family, and companions, yet this does not make him the coward he was pictured as. 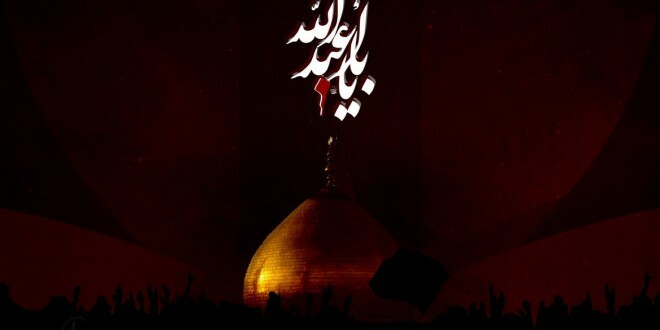 You must have heard when reciting the biography of Ali Al-Akbar and Al-Kassim Bin Al-Hassan that after their martyrdom, Imam Al-Hussein (a.s.) laid down between them, crying and talking to each of them, in a way that tries to reveal that Imam Al-Hussein could not hold himself before this dreadful tragedy. It was natural for him to cry, for crying is a human trait; however, he did not cry in the way mentioned and to the extent that tragically affected the women, for that would picture the Imam (a.s.) in a state of weakness that could never be accepted. Meanwhile, in his biography, the Imam (a.s.) is pictured in a position where he was fixing his sword and saying: “O time, what a bad companion you are…etc. 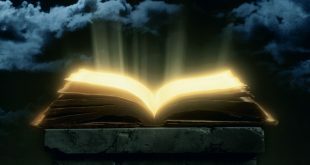 to the extent that his sister Sayyeda Zeinab (a.s.) felt that he was bewailing himself after he noticed how the people had set their minds on fighting him. Therefore, this aroused the feelings of Sayyeda Zeinab (a.s.) who experienced every moment of this tragedy and expressed its awfulness by crying in an emotional manner; however, Imam Al-Hussein (a.s.) asked her not to slap any cheek after his martyrdom and to bear every calamity in the way of the Lord with patience and justice and not to let what he has done with so much of patience and fortitude be undone by her impatience. We deduce that the Imam (a.s.) showed a strong and composed attitude even when he approached the martyrs on the battlefield. Moreover, when we study his strength, valor, and solidity while he was fighting alone, we will find out that he was fighting with dignity, vigor, and honor. Imam Al-Hussein (a.s.) showed a strong and composed attitude in the battlefield. And even when he was the only one left fighting, he fought with dignity, vigor, and honor. A narrator talks about the state of Imam Al-Hussein (a.s.) as he was fighting the enemies and says: “Deity by Allah! Never have I seen a man, standing alone amidst a crowd of people attacking him and killing his sons, family and companions, who maintained a more balanced composure and self-possession than Al-Hussein. Every time the fighters drew close to him, he would charge at them and they would scatter before him like goats attacked by a wolf.” The narrator continues to say: “He fought them in such a way that forced them to be dispersed everywhere as if they were the widespread locusts. Then, he (a.s.) would draw back and say: ‘upon Allah and only Allah we count in expectation of strength and power’”. How could this man who did not give up his pride even in the most ruthless situations appear weak before his enemies or the people of his house and his women?! The Imam (a.s.) carried the banner of a cause and a message. He wanted to turn the Islamic world back to the right course of Islam, and reform the believer’s corrupted affairs, and enjoin good and forbid evil, to the extent that he used to stand in front of the enemies’ camps, talking to them advising them and guiding them; thus, we have to reveal the Imam’s real image. As for Zeinab (a.s.), she is renowned as the heroine of Karbala; the strong lady who dared to say to Ibn Ziyad: “O son of Marjanah! May your mother be mournful for you,” and faced Yazid and said: “Scheme whatever you wish to scheme, and carry out your plots, and intensify your efforts, for, by Allah, you shall never be able to obliterate our mention, nor will you ever be able to kill the revelation (that was revealed to us).” This strong and firm woman that is the model of the strong Muslim woman, the militant (Mujahidah), the heroine, and the leader is being pictured as a Bedouin that cries over her parents and calls on them out loud. However, when we study the character of Zeinab (a.s.), we would find out that she was a true sister of Al-Hussein (a.s.) when it came to struggle and shouldering the responsibility of the message, for she understood what Al-Hussein (a.s.) and his message meant. Unfortunately, we tended to drop out all the dignity and pride that could be inspired from Zeinab, by the poems people read for the sake of crying and weeping, rendering Sayyeda Zeinab (a.s.) as someone to cry over rather than to model after! Zeinab was a true sister of Al-Hussein (a.s.) when it came to struggle and shouldering the responsibility of the message; however, we tended to drop out all the dignity and pride that could be inspired from Zeinab, rendering her (a.s.) something to cry over rather than to model after! Based on what we have mentioned, the following question is raised: When did Imam Al-Hussein (a.s.) decide to engage in the battle? He set his mind on stepping into the battle when he was asked to deem the rule of the Umayyads as legitimate, as Ibn Ziyad asked the Imam (a.s.) to accept his rule and Yazid’s. So, when the Imam felt that the matter has reached such a high level of danger where he is supposed to give legitimacy to who does not enjoy it, let alone to who is against it, he said the following famous speech: “No way! By God, I will never surrender to them like a humiliated person and never pledge allegiance to them like slaves. Behold, the illegitimate, son of the illegitimate, has settled between two, between unsheathing [the sword] and humiliation, Oh how impossible is humiliation from us! Allah refuses that for us, and His Messenger, and the believers, and laps and purified and zealous noses and repudiating souls, that we prefer obedience to the mean ones, over the killings of the honorable.” Once he finished his speech, the Imam (a.s.) stepped out as a warrior and prepared himself to engage in the battle. Therefore, we ought to study the character of Imam Al-Hussein (a.s.) on his way to Karbala, taking into consideration all the slogans and speeches he delivered. So, when we celebrate Ashura ceremonies, we ought to base the celebration on the slogans of Imam Al-Hussein (a.s.), for in our contemporary Islamic society, we are facing several oppressive tyrants that are the same as those the Imam has described in his time. As an Islamic nation, we ought to shoulder the responsibility of turning this stand into a practical one we ought to plan for and carry out, for when the oppressors, be they leaders, presidents, or kings, assume the position of leadership, the Islamic reality would fall apart. This is the situation we are witnessing nowadays, where most of the Islamic rulers have succumbed to disbelief and international arrogance that they think would preserve their chairs, and eventually they would be employed as guards for the prisons in which they are meant to lock their peoples. Actually, this is the case of many presidents, kings, rulers, as well as their political and administrative followers, who are lured with money and power, to the extent that we notice how they stand in the face of those who call for justice and equality and against the Islamic resistance in Lebanon and Palestine, and how they co-plan with “Israel” to commit massacres that are executed by the Zionist army against children, women, elderly, and civilians, and how they devise all kinds of plan so as to fail all forms of opposition, for the ultimate objective is selling the Palestinian cause to the Jews, as well as to America and Europe. We ought to base our understanding on the following tradition by the Messenger of Allah (p.): “Whoever sees an oppressive tyrant who legalizes what Allah has forbidden, breeches Divine laws, violates the Prophet’s traditions, and oppresses the worshippers of Allah, yet he does not oppose it in words or deeds, Surely Allah will treat him in the same way as the tyrant.” The nation is actually held responsible if it remains silent before the unjust rule of an oppressive tyrant, and it ought to mobilize all its powers, forces, and groups in order to revolt against him and overthrow him. Actually, oppressive tyrants have played a major role in weakening the Islamic peoples, to the extent that the latter are prevented from taking any action except releasing denouncing words, knowing that some of these countries have even prevented their people from holding demonstrations. Dearly loved ones, we ought to commit to the call of Imam Al-Hussein (a.s.) who sought reform in his grandfather’s nation, and enjoining good and forbidding evil, so as to be aware and set plans for examining where political, security, economic and cultural corruption in our societies exists. This imposes on us the necessity of exerting every effort to drive away all those who try to distort the image of Karbala and Imam Al-Hussein (a.s.), for the problem we are going through is the result of the collaboration between the speakers at the rostrums and the people. Actually, most of those speakers are culturally illiterate; they do not understand what they read, even though they are capable of reading and writing. It is them who bring up tragic myths just for the sake of making people cry. We notice that when people hold Ashura ceremonies, they search for someone who has a beautiful, passionate, and touching voice to attract the audience, knowing that in certain cases such voices might have a tragic and sad effect. Moreover, they ignore many educated people who enjoy a historic culture through which they study the historic events in a scientific manner, as well as other educated people who enjoy a literary sense that makes them study many of the poems created by the ceremony speakers. Actually, people have turned many poetry verses into sacred sayings, even though each poet has his own mentality and way of writing. For example, a certain poet said the following verse about Abulfadl Al-Abbass (a.s.): “Had it not been for fate, he would have ended the world by his sword…” Is that possible? Another poet says: “”If the religion of Muhammad (p.) does not stand upright except by my death, then, O swords, take me,” making it seem as if Imam Al-Hussein is asking the swords to end his life so that the religion of the Prophet (p.) would stand upright, as if that could not happen, if Al-Hussein (a.s.) stayed alive and led his life as a preacher, reformer, and a changer! Yet, all these verses have become circulated amongst people, and we notice that many of these poems are recited in Ashura ceremonies, whether in a classical language or a spoken one. People have turned many poetry verses into sacred sayings, even though each poet has his own mentality and way of writing. We are also witnessing many customs and traditions that are practice under the title of showing consolation to the tragedy of Imam Al-Hussein (a.s.), such as hitting the heads with swords, which made a few non-Muslim people deduce that the Shiite swords that were used against their enemies are now being used to hit their own heads; and it has become one of their sacred issues! However, it must be noted that this is in no way relevant to the life and methodology of the Imams (a.s.), knowing that the story mentions that a certain man – assumed to be Turkish – once hit his head with a sword after he had heard about the tragedy of Imam Al-Hussein (a.s.), and people started to imitate him, cementing this tradition that has persisted in the last century or so. Moreover, televisions cover many celebrations – that are unfortunately supervised by religious authorities – where people make a vow “Nidhr” to cut the heads of their children; all this being covered by several media means. Once, I was going through a Canadian magazine that pictured a grey-headed man holding a small baby that was crying his tears out after the man had made a cut in his head, and the magazine had the following caption for the photo: “This is done in the name of Allah!” If tormenting one’s self is religiously forbidden since it is forbidden to inflict damage on the self, how do you think the situation would be if someone is tormenting a child?! This is religiously forbidden! It is a crime committed in the name of childhood! Neither the mother nor the father is entitled to do such things to their children, for they are obliged to care for their children and put them on the straight path. 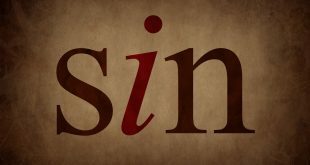 Unfortunately, it must be admitted that this has become one of our sacred practices, to the extent that many religious scholars have issued Fatwas that deem such acts as recommended. Moreover, many scholars – May Allah return them to the straight path – consider that one’s Shiism is further consecrated and cemented by means of these traditions and customs. In the same context, we cannot but mention the custom of hitting the backs with chains; a custom that is still being practiced in a few regions, knowing that some people add sharp objects to the chains so as to cut their backs while hitting, and others walk on fire commemorating the tragedy of Imam Al-Hussein (a.s.). Sayyed Mohsin Al-Hakim – May Allah shower him with his mercy – have forbidden these acts. 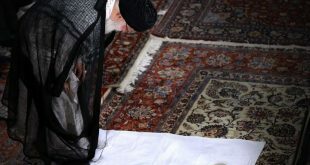 We also watch other similar traditions on TVs that cover from certain countries the scenes of people crawling while placing their cheeks on the ground, showing consolation to Al-Hussein (a.s.), and others who insert a lock in their flesh and lock it, and others who walk in the posture of dogs, so as to show modesty to Imam Al-Hussein (a.s.), and so on where each year we witness a new method. Once, Imam Al-Khoui’ was asked about these practices and the like: “Are those considered religious rituals? He answered: “No, they are not.” When he was asked if they were permissible, he answered: “If they lead to desecrating the honor of the sect, then they are impermissible.” He was asked: “And how these acts desecrate the honor of the sect?” He answered: “If they lead people to make fun of the sect.” This was published in his book entitled: “Masa’el Shar’iyya” (Religious matters). We confirm that showing consolation cannot be done in this way. If someone was informed that his son died, would he hit his head with a sword, or his back with chains to express his grief? This would be completely irrational. I have told those people: this is not a proper way to show consolation to Imam Al-Hussein (a.s.). The ones who are truly doing so are the ones who confronted the Zionists in Jabal Safi (Safi Mountain), and in July War, and in any confrontation with the Zionists… These loyal and good-hearted men and militant fighters are the ones truly showing consolation to Imam Al-Hussein (a.s.), for the Imam was injured and martyred in the battlefield. Dearly beloved, Karbala is a great wealth. It represents the history we could present to the world so as to prove that this human and spiritual heroism has triumphed over brutality represented by those who murdered Imam Al-Hussein (a.s.). Therefore, we ought to join between sentiments and the cause, for if it does not integrate with the sentiments, it would be lost in history, just as other similar historic issues were lost. However, we ought to rationalize the sentiments and guide them and amend them so that the cause would be complemented and the sentiments would serve the message. Moreover, arousing sentiments in a human and rational way makes us interact with all the world’s miseries. Many people who live the tragedy of Karbala actually react against the savage massacres executed by the Zionists, supported by America, the European Union, and some Arab states, and the Gaza massacre is the best example on what we have said. The stand which we take in refusing the tragedy that happened in Karbala drives us to refuse anyone who commits a tragedy or massacre in any place in the world, be they Muslims or non-Muslims, for as the term tragedy refers to a human cause, man cannot help but interact with it. Our criticism to these methods and forms of commemorating Ashura does not mean that we reject the role of the emotions; however, these emotions ought to be represented calmly, such as in crying calmly and hitting one self smoothly rather than in a folkloric, show-off manner that reveals everything other than grief. We are for rationalizing and guiding the emotions, and working to revive the cause and commemorate it over and over again, and driving away all the ignorant people who speak at the rostrums, for they base their understandings on myths, with which they nourish people so as to bring about tears. O loved ones, this is the true Ashura of Islam; the Ashura of the message and the cause, the Ashura of struggle, that ought to be directed towards making Allah’s word the most Supreme and Satan’s the most inferior. * His Eminence, the Religious Authority, Sayyed Muhammad Hussein Fadlullah, delivered the following valuable lecture in the Ashura ceremony held by the Society of Islamic Religious Education in Az-Zahra’ Hall, the Islamic Cultural Center, in Muharram 1430 H.